> Please click here to download the uniform guide now. 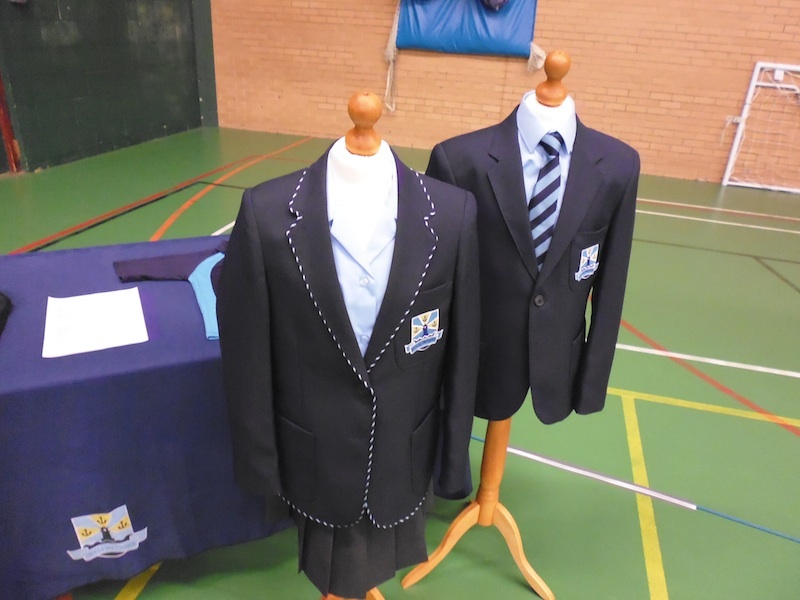 We have been working with a designer to create a uniform for the students that is practical, hard wearing and smart – without being stuffy. The colours for our school are dark blue and sky blue. The girls’ blazer, shown above left, has attractive piping; the boys’ blazer on the right is plainer. The school’s crest and motto Nulli Secundus (the Latin for ‘second to none’) appears over the left breast. 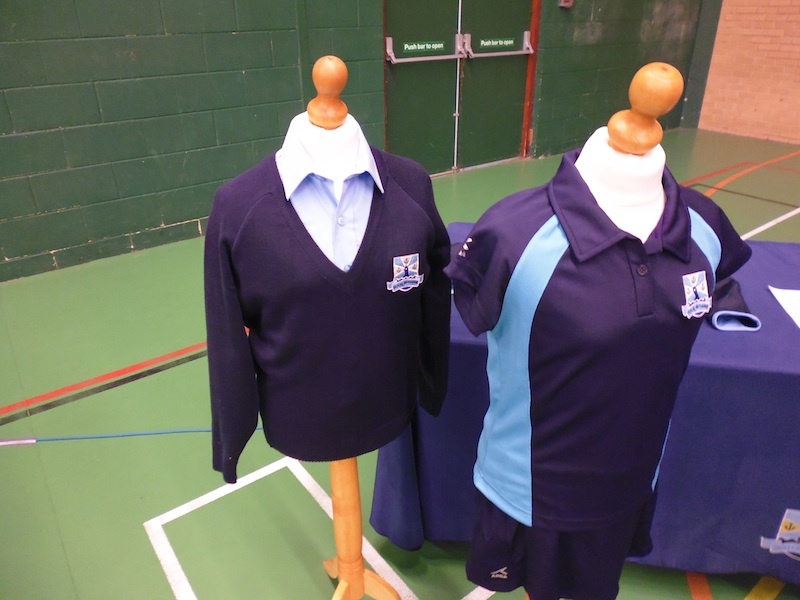 The new jumper and sports shirt are shown below.